This guide will walk you through step by step to build a simple app from scratch. Hosted Web App - You already have a web app hosted somewhere and you want the Enterprise Browser to render it on your mobile device. Local Web App - You have all your assets stored on your mobile device and want the Enterprise Browser to render these pages for use on your mobile device. Hybrid local / hosted App - You have a web app hosted somewhere but some of the assets that your web app uses are stored locally on your device. You want the Enterprise Browser to render these pages for use on your mobile device. NOTE: It is worth noting that, with most Windows Mobile / CE devices, you will have to copy the config.xml file to a location that is not on your device in order to modify it. Once your modifications are done, copy it back to your device and overwrite the old one. 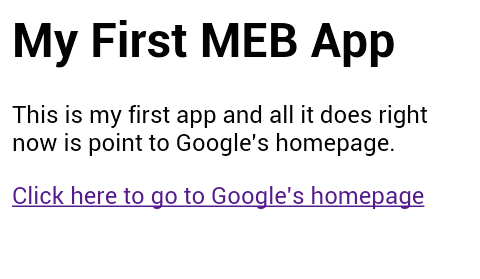 This address will cause the Enterprise Browser to start my app at the index.html file located in my device's root directory. NOTE: Notice that there are three forward-slashes in that address; the first two are for the file: protocol and the third specifies the root directory of the device. So let's create a very basic index page that we can launch from our Enterprise Browser app. Create a new file called index.html and use the contents below. Place this newly created file in your device's root directory. 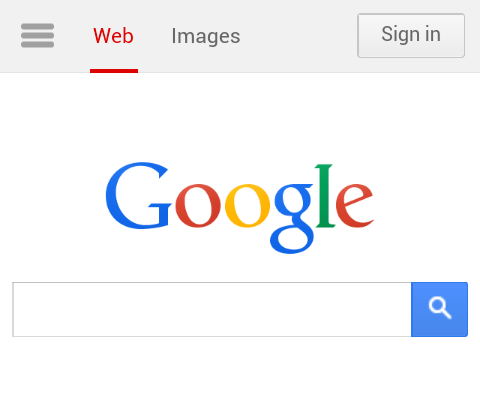 2) And when you click on the link (assuming you have an active internet connection), you'll be navigated to Google's homepage. But we don't want to just link to some other page, we want to use some of the APIs at our disposal! 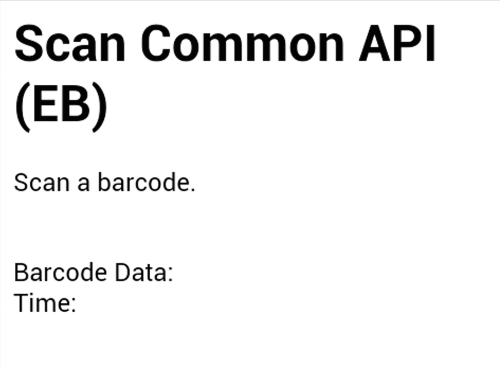 Let's make an app that uses the Barcode API to scan an barcode and displays the barcode we scanned on the screen. 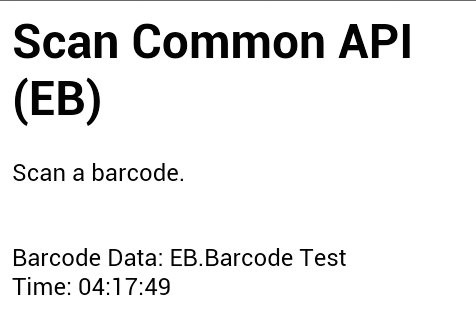 This code will enable the default device scanner and print out the scanned barcode data once a barcode is scanned. Here is what we see when the app is started. Simply add the line above to add the libraries into your app and copy the file from the aforementioned location to your device. Note: If you copy the file somewhere besides the folder in which your html pages also reside, you'll need to modify the src path accordingly. Here is what we will see after starting the app and going through the initial splash screen(s). And here is the app after scanning a barcode. You can also opt to add only the APIs that you plan on using if you want to minimize the amount of device storage you use. We discuss strategies like this in the Optimization guide.